This beautiful pendant is crafted from 14K Gold. This heart shaped pendant features a textured background with the Star of David raised on the foreground. 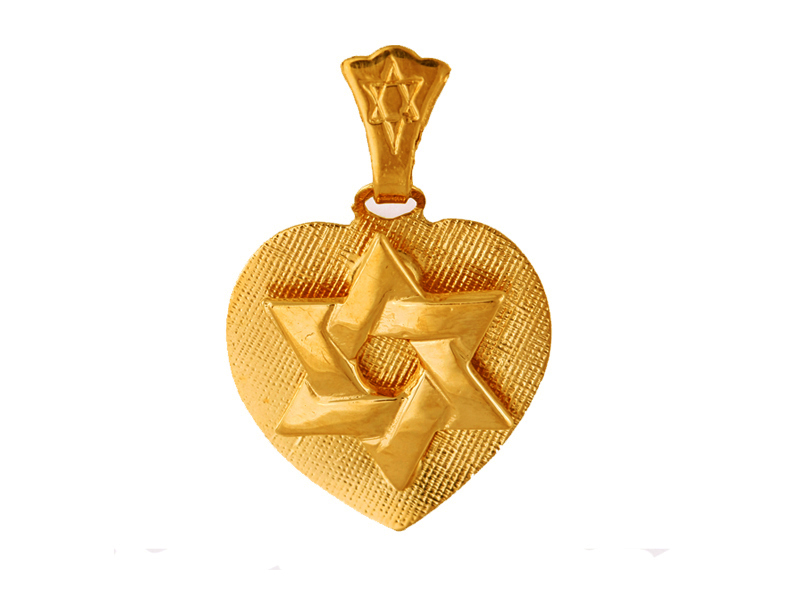 The pendant heart hangs from a bale with a 'Jewish Star' engraved on it. Pendant is available in both yellow and white gold. Makes a wonderful gift for a bat mitzvah, birthday or any other special occasion!